Gone are the days when nursing was just about hands-on patient care and manually filling out medical charts all day long. Today’s nurses are not only skilled health care practitioners, but they must also be tech savvy in order to keep up with medical advances, unique patient care solutions, and communications tools. The good news is that such technological improvements have made it possible to spend more time caring for the actual patients, have helped limit human error (such as mixing up charts), and have even helped ease some of the physical demands of being a nurse. Take a look at some of the ways that nurses are using technology including apps and software to advanced equipment, so you know what to expect when you head to work in a health care setting. With more and more technology enhancements being used in health care institutions and hospitals – from electronic health records and GPS-tracked medical equipment to tech-driven drug dosing and smarter alarm and alert systems – nurses are expected to know their technology. And that doesn’t only go for advanced nurse practitioners. Staff RNs must be able to learn and adapt quickly so they can begin implementing various tech updates into their daily work. ▣ Smart phone apps are being used more often to stay in communication with one’s health care team. This will eventually replace the old pager systems that are not always 100 percent reliable. ▣ Mobile access to information about drug interactions and other reference materials allows nurses to pull up information on the spot, rather than having to lug around heavy books, or step out to search for information. ▣ Electronic patient records are becoming the norm so that patient medical histories can be instantly accessed, and their progress can be tracked in one centralized database. Expect this to be a major part of your nursing training when you begin a new job since it will be a big part of your daily responsibilities. ▣ Non-invasive diagnostic tools are being introduced to help evaluate patients. This means less sticking, prodding, and probing, which is easier for patients, plus it reduces the risk of infection for everyone. Learning how to properly use these tools and equipment is key to making accurate diagnoses. ▣ Implantable devices that administer medication to patients with complex dosing needs is helping to eliminate human error, and freeing up nurses’ time. ▣ Patient-lifting equipment is an advancement that is slowly being adopted by some medical and nursing facilities. However, it is one that nurses who have to lift and move patients surely appreciate as it will help reduce their chance of injury. 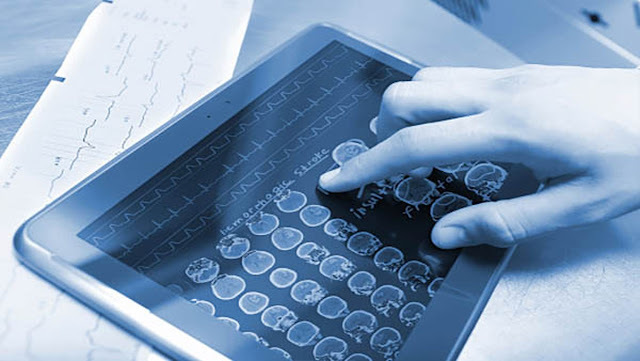 Although learning new technologies can sometimes be intimidating – especially for the nurses who are on the frontlines of patient care and have to get up to speed right away – in most cases, everyone benefits in the long run. For patients, when nurses have better monitoring tools and easy access to their medical histories, they are more likely to get the best course of treatment for their specific situation, and in a timelier fashion. In addition, technology can help streamline nursing tasks so that RNs have more time to focus on the patients themselves, rather than chasing down equipment, or waiting long periods of time for medication to arrive so they can administer them. 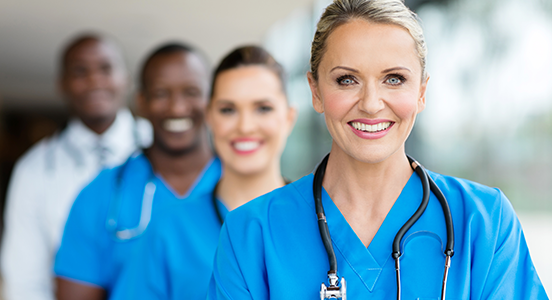 The good news is that by developing health technology skills, many nurses are able to not only thrive in their roles, but also explore new career opportunities in a variety of nursing specialties. For instance, Genetics Nurses use cutting-edge software to analyze patients’ genes in order to determine their risk for various diseases and conditions. Radiology Nurses must be comfortable working with high-tech equipment to perform radiation therapy, MRIs, and other diagnostic exams. And Cardiac Nurses have to love technology in order to keep up with advances in implantable cardioverter-defibrillators (ICDs) and pacemakers. Keep in mind that all such specialized positions in nursing will require advanced education, certifications, and/or licenses. What they have in common, however, is that they all involve getting schooled on the technologies that are used in the field. Perhaps no other industry benefits more from technological advances as the medical field. It improves patient care, introduces more effective solutions and treatments, and literally saves lives. That’s why as an aspiring nursing professionals, your success in the field is directly related to your willingness to keep up with technology trends and stay ahead of the curve.